Hypertension, commonly known as high blood pressure, can be defined as an elevated force of pressure against the artery walls as the heart pumps blood to the rest of the body. It can eventually lead to various health problems if it becomes chronic in nature. Needless to say, hypertension should be taken seriously by anyone suffering from it. Sadly, sometimes this isn’t the case because high blood pressure is known as the “silent killer”, manifesting no feelings of “sickness” by those suffering from it. In this article, I hope to provide some insights and analysis on the overview and treatment (both dietary and medical) of hypertension. 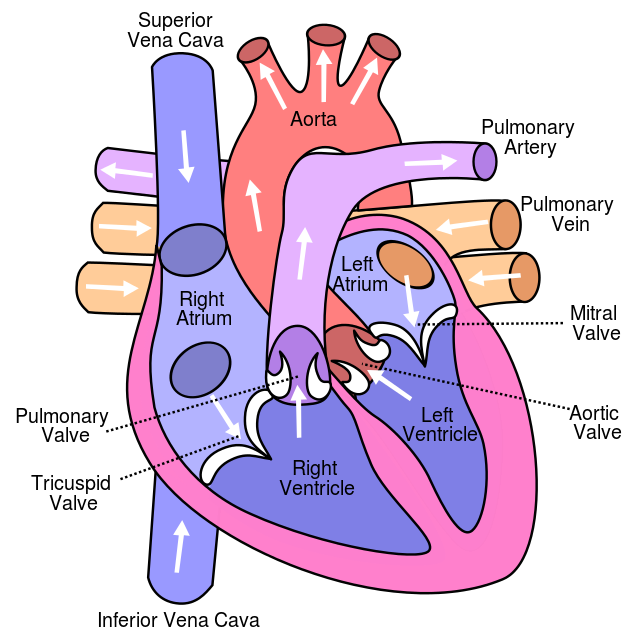 As mentioned before, hypertension is the chronic elevation of force on the artery walls by the heart as it pumps blood to the rest of the body. This leads to wear and tear on the heart, the blood vessels, and other organs resulting in negative health consequences. Watch the videos below for a better understanding of this process. Systolic blood pressure is the measurement of force exerted on the arteries when the ventricles of the heart contract, pushing blood out to the lungs and rest of the body. Diastolic blood pressure is the measurement of force on the arteries when the ventricles relax, allowing for refilling of the bottom chambers of the heart with blood from the atria. This statement should speak volumes to the fact that food, not family history or genetics, is the main culprit in our present-day hypertension crisis in America, Europe, and other countries adopting a Western diet. As with anything, though, the devil is in the details. While our modern-day medical community does make a valid effort in putting official dietary advice in place (DASH diet) to combat this preventable medical condition, they fall short of utilizing the best available peer-reviewed, evidence-based scientific and medical literature available on nutrition and hypertension treatment. The typical result is improvement in blood pressure levels in patients who adopt these dietary guidelines BUT a continuation of their hypertension or the need for medications to control their hypertension. I will discuss more about the evidence on diet and hypertension later, but first let’s take a look at various medications used to manage this condition. There are five main classes of drugs used to treat hypertension.10 Below is a list of each class, an explanation of how the medications work, their success rates (in terms of morbidity and mortality outcomes), and common potential side effects/black box warnings of the medications within that class if such warnings exist. Success rates are given in terms of absolute risk reduction numbers. These five classes of medications are not the only classes of drugs used to treat hypertension, but most patients will be put on one or more of these classes of medications when utilizing pharmacological therapy to manage their condition. This is typically the first and safest class of drugs used in the treatment of hypertension. They are commonly referred to as ‘water pills’. Some patients may only need a thiazide diuretic as their only medication for high blood pressure, but the majority of people will need at least two medications to reach blood pressure goals in the absence of a major dietary and lifestyle change. How they work – Thiazide diuretics inhibit the kidney from reabsorbing sodium and chloride, which, in turn, reduces the amount of water reabsorbed back into the body and increases urination.11 Less water means less volume in the blood, which means less work on the heart and a lower blood pressure. 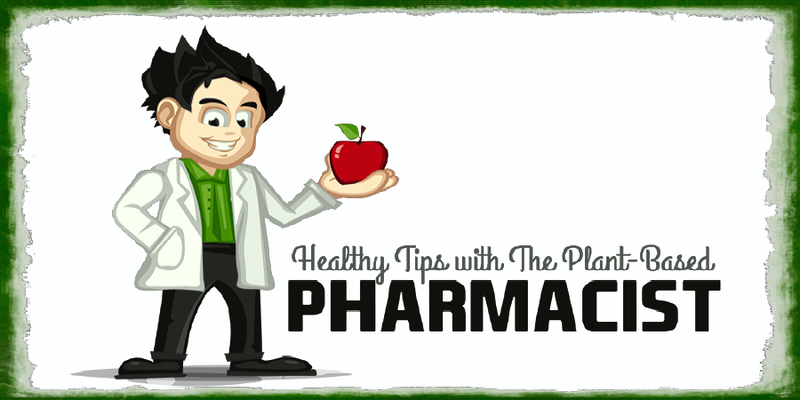 Of all the classes of medications this class is the best at removing excess water from the body. Chlorthalidone has been proven to be the most effective thiazide-type diuretic by offering more effective blood-pressure-lowering effects than HCTZ.17 However, despite this current evidence, HCTZ is still more commonly prescribed in the United States for patients with high blood pressure. Possible side effects12,13 – Thiazide-type diuretics may cause low potassium levels (hypokalemia), low sodium levels (hyponatremia), high blood sugar levels (hyperglycemia), increase in cholesterol levels, increase in uric acid levels (gout), and erectile dysfunction. ACE inhibitors are commonly used as the second drug of choice in many patients with hypertension, especially diabetics, heart failure patients, and in chronic kidney disease. These are typically used in addition to a thiazide diuretic. Possible side effects13-15 – ACE inhibitors may cause dry cough (5-20%), dizziness, headache, hypokalemia, acute kidney failure, and angioedema (occurs in 0.1%-1% - severe swelling of the lips, eyes, face, and other parts of the body). Black box warning18 – ACE inhibitors, when used in the second and third trimester of pregnancy, can cause possible birth defects and fetal death. This class of drugs is contraindicated in pregnancy. ARBs are typically reserved for patients who cannot tolerate an ACE inhibitor. The most common reason for this is due to the development of a chronic, dry cough. Like ACE inhibitors, they are commonly used in patients with heart failure, chronic kidney disease, and diabetics. Black box warning18 – ARBs, when used in the second and third trimester of pregnancy, can cause possible birth defects and fetal death. This class of drugs is contraindicated in pregnancy. Beta-blockers are not recommended as first-line agents for high blood pressure, instead they are added to existing antihypertensive therapy for most patients. They are typically used in special patient populations such as those with heart failure, diabetics, and those who have suffered a recent heart attack. Black box warning24 – Metoprolol, atenolol, propranolol, and nadolol can cause severe chest pain, heart attacks, and heart arrhythmias upon abrupt discontinuation in patients being treated for coronary heart disease. CCBs are not recommended as first-line agents for hypertension. They are typically used as second-choice agents in addition to existing antihypertensive therapy. CCBs can be broken up into two separate subgroups—dihydropyridines (all CCBs ending in ‘dipine’) and non-dihydropyridines (verapamil and diltiazem). Specific CCBs are used for special patient populations such as those with diabetes, angina (chest pain), certain types of heart arrhythmias (atrial fibrillation), high risk of coronary heart disease, and African Americans. Possible side effects13,28-30 – CCBs, particularly the dihydropyridines, may cause dizziness, low blood pressure (especially right after standing up), headache, flushing, peripheral edema (swelling of extremities), and gingival hyperplasia (overgrowth of gum tissue). Verapamil can cause constipation. Diltiazem and verapamil may worsen congestive heart failure. Nifedipine and isradipine may increase cardiovascular death and disability. What Diet and Lifestyle Interventions Are Used in the Treatment Hypertension? Diet and lifestyle patterns play a huge role in the development of hypertension. As mentioned in the beginning of this article, hypertension is a “nutritional-hygienic disease”. The food you put into your body (and to a lesser degree how active you are) will determine whether or not you develop high blood pressure. The official recommendation from the medical community is to adopt the DASH diet to treat hypertension. DASH stands for Dietary Approaches to Stop Hypertension. The DASH diet includes fruits, vegetables, whole grains, legumes, low- or non-fat dairy, lean meats, nuts and seeds, and small amounts of fats and sweets. The average drop in blood pressure for hypertensive patients on the DASH diet is 11.4/5.5 mmHg.31 While this is an improvement over the Standard American Diet (SAD), the DASH diet still includes foods (dairy, lean meats, and sweets/junk foods) that promote heart disease, cancer, diabetes, and other chronic diseases. So is there a better way to treat high blood pressure with diet without promoting heart disease, cancer, diabetes, and other chronic diseases? Multiple studies have shown that the adoption of a low-fat, whole foods, plant-based diet with low sodium intake both significantly improves blood pressure and reduces chronic disease rates. 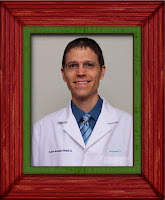 Alan Goldhamer, DC from True North Health Clinic has also published studies showing dramatic reductions in blood pressures using a medically supervised water-only fasting program followed by a switch to a low-fat, low-sodium, whole foods, plant-based (vegan) diet. The entire program lasted anywhere from 18-22 days. 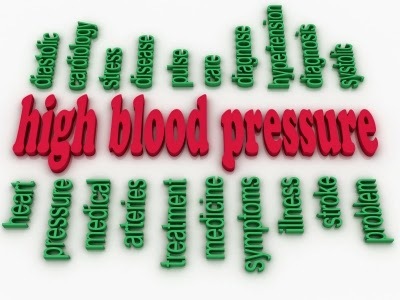 The average drop in blood pressure readings for pre-hypertensive patients was 20/7 mmHg.32 The average drop in blood pressure readings for hypertensive patients was 37/13 mmHg, and for those patients with stage 3 hypertension (> 180/110 mmHg) the average drop in blood pressure was 60/17 mmHg.35 These results make these the most successful studies ever published in the medical literature on lowering blood pressure and reversing hypertension with diet and lifestyle. 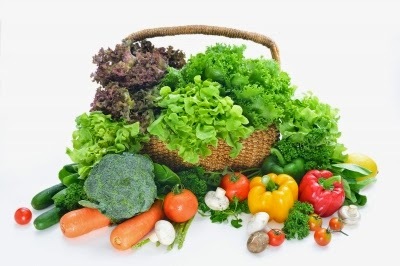 There are no negative side effects from adopting this type of low-fat, low-sodium, whole foods, plant-based (vegan) diet. There are only positive effects in weight reduction, cholesterol reduction, and overall improved general health. It is clear that not only does the proper diet (low-fat, low-sodium, whole food, plant-based) work better at reversing hypertension, but it also provides additional benefits in terms of preventing and reversing numerous chronic diseases like heart disease, cancer, diabetes, and autoimmune disorders without any negative side effects.38-41 It’s a win-win-win situation. Hypertension is a common condition in Western societies affecting nearly one-third of the population, with another third of the population being pre-hypertensive. 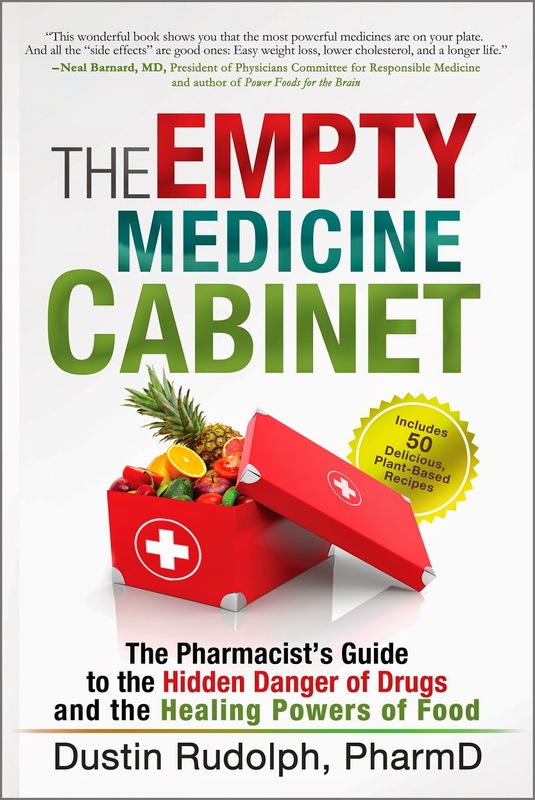 Modern medicine resorts to prescription medications all too quickly to remedy this situation instead of having a truly meaningful discussion on the most effective way to treat this condition. The answer, of course, lies in the root cause of the condition itself—the food! By making a significant changes in our Western-style diet we can beat hypertension and prevent the disastrous consequences that come of it. Adopting a low-fat, low-salt, plant-based diet comprised of whole foods is key in doing this. Ultimately, the decision is yours. You have to every right to choose whatever path you feel is best for you. I’m honored to have the opportunity to present the information needed for you to do this in life. May life bless you with many years of health and happiness as you embark on your journey towards a better you! 1 Flack JM, Peters R, Shafi T, et al. Prevention of hypertension and its complications: theoretical basis and guidelines for treatment. J Am Soc Nephrol. 2003 Jul;14(7 Suppl 2):S92-8. 2 Nwankwo T, Yoon SS, Burt V, Gu Q. Hypertension among adults in the United States: National Health and Nutrition Examination Survery, 2011-2012. NCHS Data Brief. 2013 Oct;(133):1-8. 3 Qureshi AI, Suri MFK, Kirmani JF, Divani AA. Prevalence and trends of prehypertension and hypertension in United States: National Health and Nutrition Examination Surverys 1976 to 2000. Med Sci Monit. 2005;11(9):CR403-409. 4 Gupta AK, McGlone M, Greenway FL, Johnson WD. Prehypertension in disease-free adults: a marker for adverse cariometabolic risk profile. Hypertens Res. 2010 Sep;33(9):905-10. 5 National High Blood Pressure Education Program. The seventh report of the Joint National Committee on prevention, detection, evaluation, and treatment of high blood pressure. Bethesda (MD):National Heart, Lung, and Blood Institute (US); 2004 Aug. Classification of blood pressure. Available: http://www.ncbi.nlm.nih.gov/books/NBK9633/. Accessed: 12 Apr 2015. 6 Ashley EA, Niebauer J. Cardiology explained. London: Remedica; 2004. Chapter 6, Hypertension. Available: http://www.ncbi.nlm.nih.gov/books/NBK217/. Accessed 12 Apr 2015. 8 Khan RJ, Stewart CP, Christian P, et al. A cross-sectional study of the prevalence and risk factors for hypertension in rural Nepali women. BMC Public Health. 2013 Jan 21;13:55. 9 Solomons NW. Plant-based diets are traditional in developing countries: 21st century challenges for better nutrition and health. Asia Pac J Clin Nutr. 2000 Sep;9 Suppl 1:S41-54. 10 Chobanian AV, Bakris GL, Black HR, et al. Seventh report of the Joint Committee on prevention, detection, evaluation, and treatment of high blood pressure. Hypertension. 2003 Dec;42(6):1206-52. 11 Madhur MS, Riaz K, Dreisbach AW, et al. Hypertension medication. Mescape. Article updated online 30 Sep 2014. 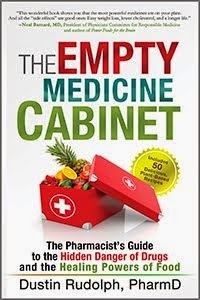 Available: http://emedicine.medscape.com/article/241381-medication. Accessed: 13 Apr 2015. 12 Ellison DH, Loffing J. Thiazide effects and adverse effects: insights from molecular genetics. Hypertension. 2009 Aug;54(2):196-202. 13 Joshi VD, Dahake AP, Suthar AP. Adverse effects associated with the use of antihypertensive drugs: An overview. Int J PharmTech Research. 2010;2(1):10-13. 14 Vegter S, de Jong-van den Berg LT. Misdiagnosis and mistreatment of a common side-effect—angiotensin-converting enzyme inhibitor-induced cough. Br J Clin Pharmacol. 2010 Feb;69(2):200-3. 16 Kostis JB, Wilson AC, Freudenberger RS, et al. Long-term effect of diuretic-based therapy on fatal outcomes in subjects with isolated systolic hypertension with and without diabetes. Am J Cardiol. 2005 Jan 1;95(1):29-35. 17 Ernst ME, Carter BL, Basile JN. All thiazide-like diuretics are not chlorthalidone: putting the ACCOMPLISH study into perspective. J Clin Hypertens (Greenwich). 2009 Jan;11(1):5-10. 18 Norris S, Weinstein J, Peterson K, et al. Drug Class Review: Direct Renin Inhibitors, Angiotensin Converting Enzyme Inhibitors, and Angiotensin II Receptor Blockers: Final Report [Internet]. Portland (OR): Oregon Health & Science University; 2010 Jan. Appendix E, Black box warnings for included drugs. Available from: http://www.ncbi.nlm.nih.gov/books/NBK47124/. Accessed: 17 Apr 2015. 19 Trewby PN, Reddy AV, Trewby CS, et al. 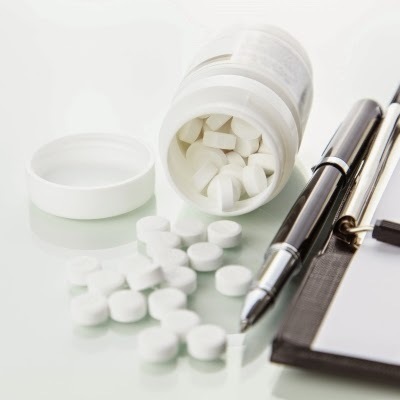 Are preventive drugs preventive enough? A study of patients’ expectation of benefit from preventive drugs. Clin Med. 2002 Nov/Dec;2(6):527-33. 20 Lip GY, Beevers DG. More evidence on blocking the renin–angiotensin–aldosterone system in cardiovascular disease and the long-term treatment of hypertension: data from recent clinical trials (CHARM, EUROPA, ValHEFT, HOPE-TOO and SYST-EUR2). J Hum Hypertens. 2003 Nov;17(11):747-50. 21 Barreras A, Gurk-Turner C. Angiotensin II receptor blockers. Proc (Bayl Univ Med Cent). 2003 Jan; 16(1): 123–126. 22 Ko DT, Hebert PR, Coffey CS, et al. Adverse effects of beta-blocker therapy for patients with heart failure: a quantitative overview of randomized trials. Arch Intern Med. 2004 Jul 12;164(13):1389-94. 23 Barron AJ, Zaman N, Cole GD, et al. Systematic review of genuine versus spurious side-effects of beta-blockers in heart failure using placebo control: recommendations for patient information. Int J Cardiol. 2013 Oct 9;168(4):3572-9. 24 Epocrates Online. Available: https://online.epocrates.com. Accessed: 17 Apr 2015. 25 Staessen JA, Fagard R, Thijs L, et al. Randomised double-blind comparison of placebo and active treatment for older patients with isolated systolic hypertension. The Systolic Hypertension in Europe (Syst-Eur) Trial Investigators. Lancet. 1997 Sep 13;350(9080):757-64. 26 Cayley WE Jr. Are beta blockers effective first-line treatments for hypertension? Am Fam Physician. 2007 Nov 1;76(9):1306-8. 27 Chen GJ, Yang MS. The Effects of Calcium Channel Blockers in the Prevention of Stroke in Adults with Hypertension: A Meta-Analysis of Data from 273,543 Participants in 31 Randomized Controlled Trials. PLoS One. 2013;8(3):e57854. 28 Dickerson LM, Gibson MV. Management of hypertension in older persons. Am Fam Physician. 2005 Feb 1;71(3):469-76. Review. 29 Ramani GV, Uber PA, Mehra MR. Chronic Heart Failure: Contemporary Diagnosis and Management. Mayo Clinic Proceedings. 2010;85(2):180-195. 30 Mulrow CD, Pignone M. What are the elements of good treatment for hypertension? BMJ : British Medical Journal. 2001;322(7294):1107-1109. 31 Appel LJ, Moore TJ, Obarzanek E, et al. A clinical trial of the effects of dietary patterns on blood pressure. DASH Collaborative Research Group. N Engl J Med. 1997 Apr 17;336(16):1117-24. 32 Goldhamer AC, Lisle DJ, Sultana P, et al. Medically supervised water-only fasting in the treatment of borderline hypertension. J Altern Complement Med. 2002 Oct;8(5):643-50. 33 McDougall J, Litzau K, Haver E, et al. Rapid reduction of serum cholesterol and blood pressure by a twelve-day, very low fat, strictly vegetarian diet. J Am Coll Nutr. 1995 Oct;14(5):491-6. 34 McDougall J, Thomas LE, McDougall C, et al. Effects of 7 days on an ad libitum low-fat vegan diet: the McDougall Program cohort. Nutrition Journal. 2014;13:99. 35 Goldhamer A, Lisle D, Parpia B, et al. Medically supervised water-only fasting in the treatment of hypertension. J Manipulative Physiol Ther. 2001 Jun;24(5):335-9. 36 Lawes CM, Bennett DA, Feigin VL, Rodgers A. Blood pressure and stroke: an overview of published reviews. Stroke. 2004 Mar;35(3):776-85. 37 Heran BS, Wong MM, Heran IK, Wright JM. 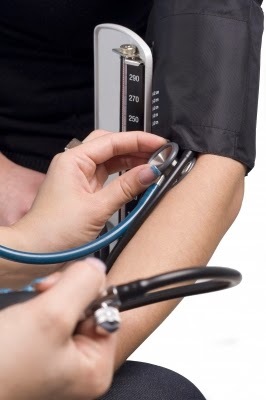 Blood pressure lowering efficacy of angiotensin receptor blockers for primary hypertension. Cochrane Database Syst Rev. 2008 Oct 8;(4):CD003822. 38 Esselstyn CB. We Can Prevent and Even Reverse Coronary Artery Heart Disease. Medscape General Medicine. 2007;9(3):46. 39 McDougall J, Bruce B, Spiller G, et al. Effects of a very low-fat, vegan diet in subjects with rheumatoid arthritis. J Altern Complement Med. 2002 Feb;8(1):71-5. 40 Ornish D, Weidner G, Fair WR, et al. Intensive lifestyle changes may affect the progression of prostate cancer. J Urol. 2005 Sep;174(3):1065-9; discussion 1069-70. 41 Barnard ND, Cohen J, Jenkins DJ, et al. A low-fat vegan diet improves glycemic control and cardiovascular risk factors in a randomized clinical trial in individuals with type 2 diabetes. Diabetes Care. 2006 Aug;29(8):1777-83.